An authority site is content-driven website that is a respected and trusted source of information. It is a larger site that delivers real value through it’s excellent editorial standards. 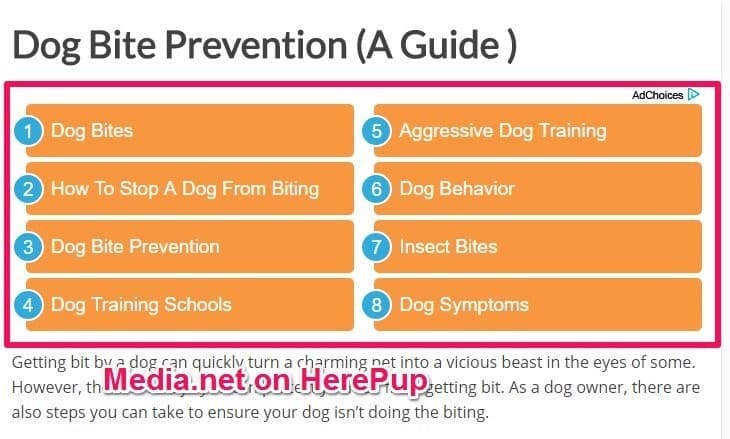 This makes people trust the advice and recommendations from the site. Authority sites = large, content-driven sites with multiple traffic channels and revenue streams. Basically, they’re a business in the form of a website. Importantly, they can be built without selling any physical product. In fact, the way we like to build them, authority sites are blog-style sites in which the main commodity is information. Additionally, since it’s extremely easy to publish a website these days, they’re easy to bootstrap and can be started (theoretically) for under $100. This is one of the reasons authority sites are attractive to people: they’re a very realistic way for people to build thriving businesses that produce passive income without quitting their 9-5 jobs. Of course, the more you invest, the easier and quicker it is to build, but the point is that, in terms of raw percentages, the ROI on authority sites can be nutty. …authority sites have diversification built in. They have it built into both their traffic and their revenue. Why? Because the internet changes often, and diversification of both traffic and revenue = longevity. Like any long-term investment, diversification is the key to success. It’s a lot like investing in financial markets. You don’t buy one stock and hope for the best; you buy a bunch of them that all come from different places to reduce risk. It’s not tough to find horror stories of people getting penalized by Google, having their Facebook accounts cancelled, or getting banned by Amazon. The authority site model inherently protects against this kind of event risk. Having multiple sources of traffic protects you against catastrophic losses of traffic. All search engines and all social media platforms have terms of service, and all of them ban people for perceived egregious offenses, which can happen to anyone, even if you’re not trying to “game” the system. If you only rely on one source of traffic, and that platform bans or penalizes you, your business can disappear overnight. The authority site model diversifies by generating traffic from multiple sources. Diversification of revenue can help protect against losses the same way traffic diversification can, but mostly, it helps maximize revenue per visitor. When we talk about revenue for a website, we usually use the term RPM, or revenue per thousand visitors. The general rule is that your RPM will grow every time you add a new revenue source. So, we diversify our revenue by “stacking” three main monetization techniques: ad revenue, affiliate revenue, and sales of our own products. 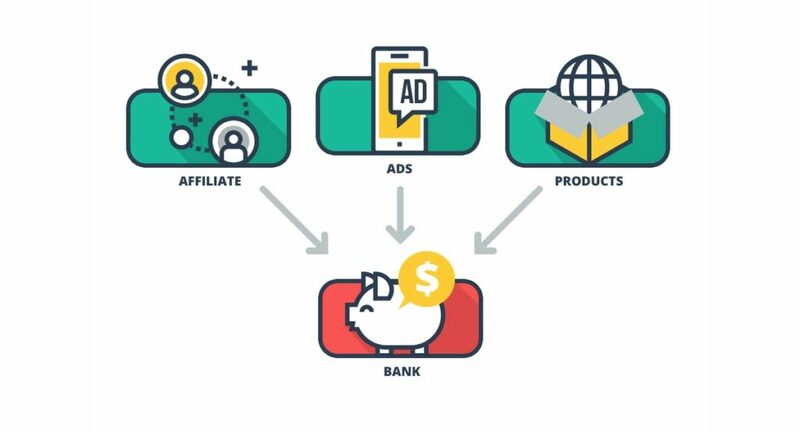 Of course, this can be more granular, since there are many different affiliate and ad platforms, but those are the three main types. Before we get into the structure and development process of the authority site model, it’s important to understand the various moving parts, since you need to have a handle on the lexicon to really understand the conversation. Of course, like with all businesses, there are inherent challenges associated with building authority sites. People often come across the authority site business model when searching for how to “making money online,” and, for better or for worse, lots of the information in that space focuses on making “quick” or “easy” money. Not only are authority sites neither quick nor easy to build, but they require you to build entire skill sets. For brand new site builders, this can be a major challenge, since some of the skills required might be altogether foreign (like link building or media buying), or they might be things people almost universally find difficult (like writing at scale). There’s also a significant resource challenge for most site builders–namely, that it’s very easy to spend money building an authority site. Additionally, site builders have fairly strict budgets. And because it’s so easy to spend money building authority sites, even budgets on the larger side can feel insufficient. We’ve built sites for $500, $2,000, and $20,000, and we’ve never felt like my budget was big enough. For this reason, authority sites also tend to require quite a bit of that other resource we’re all stingy about: time. And for many of us, our time is also limited. All of this combined means we end up with resources that are inherently limited. And if we’re new, it can be extremely difficult to decide what to spend money on. Authority sites are wonderfully, dreadfully complex machines. They’re made up of multiple traffic and revenue streams, and each incremental business model will add complexity to the ecosystem. Each requires its own set of skills, its own technology stacks, and its own management. And, as you start automating, each will require its own systems. If you look at finished authority sites, the complexity can be daunting; however, they don’t all start that way. What do we do with these challenges? The root cause of these, I think, is also the greatest asset of authority sites: their diversity. In other words, there are just too many parts. There are too many skills to learn. Too many things to spend money on. Too many complex models working together. We like to break diversification down into something we call stacking. Stacking = diversifying by mastering and adding one thing at a time. We’ve found that most people, including us, have much less success if they try to diversify a site all at once, since each traffic and revenue stream usually requires different skills, resources and systems. So, instead, we’ve found it’s more efficient and more profitable to master one thing at a time, get it working, and then stack the next thing on top of it. 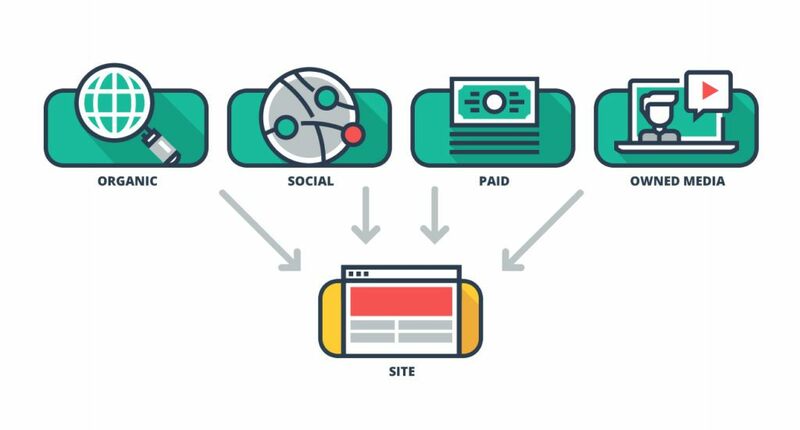 You can stack both traffic and revenue, which means we think it’s best if you’re spending most of your energy on one traffic source and one revenue source at any given time. One key component of stacking is automation. Why? Because in order to stop spending time on one traffic or revenue stream and start spending time on another, the first must be automated. This is one of the major reasons we’re such big sticklers for systems. For example, you might start a site by building organic traffic and monetizing with affiliate content. 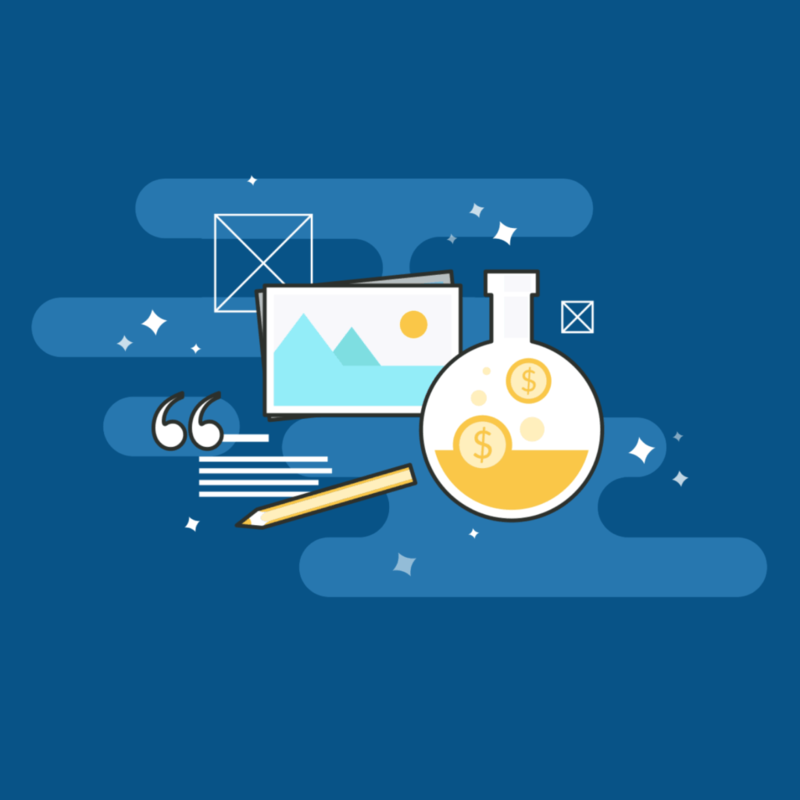 After affiliate content is working and bringing in money, you might add display ads and spend your energy on producing content around them and monetizing them. Similarly, if your organic traffic is working, you might automate it so you can then focus on building your social traffic. And so on. Of course, you can’t just start stacking willy nilly; you also need some structure for the stacking. To achieve this structure, we break the authority site model into 3 stages. 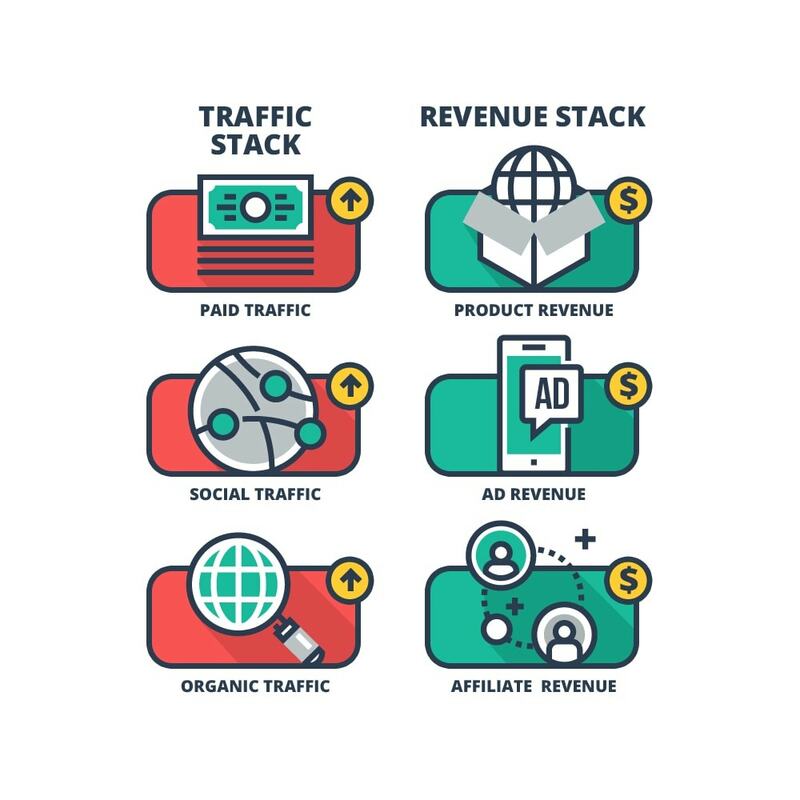 Each stage tackles specific parts of the revenue and traffic stack. We break the authority site model down into three stages. We call these Stage 1 Authority sites, Stage 2 Authority sites, etc. We do this for a couple of reasons. First, authority sites are simply too complex to do everything at once right out of the gate (see section on complexity above). Second and most importantly though, we’ve found that it’s much quicker and more efficient to build sites by working on one thing at a time. If you work on multiple things at once, everything goes slower. The ROI is much better if you work hard on a few key profit systems first and use that capital to grow. Let’s take a quick look at all of them, see what they look like, and what it takes to transition between them. Niche selection is something that really happens before you enter into any stage. It’s part of the research phase, and it should realistically be executed with the knowledge of all three stages of the authority site model to be done correctly. The idea, then, is that when doing our niche research, we want to pick something that will work well in all three stages. 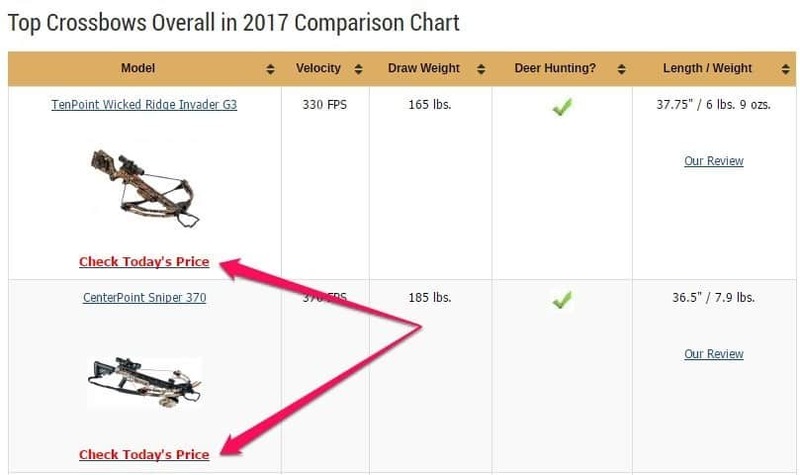 Are there big sites doing well? Are there small sites doing well? Is it a passion, lifestyle or problem niche? Are there physical products to sell or recommend? Are there informational products to sell or recommend? Do people seem to be making money with ad revenue? Is it easy to find keywords? Do keywords seem to be low competition? Are there niche sites ranking well? We typically use these questions to narrow down big lists of niches that we brainstorm and move into more in-depth research from there. After we have our niche picked out, we transition into Stage I. Stage I authority sites focus almost exclusively on affiliate revenue and organic traffic because they are the easiest, cheapest, and highest-ROI combination of traffic and revenue. What we need from a Stage I authority site is to get as much consistent money coming in as quickly as possible for the lowest investment possible. 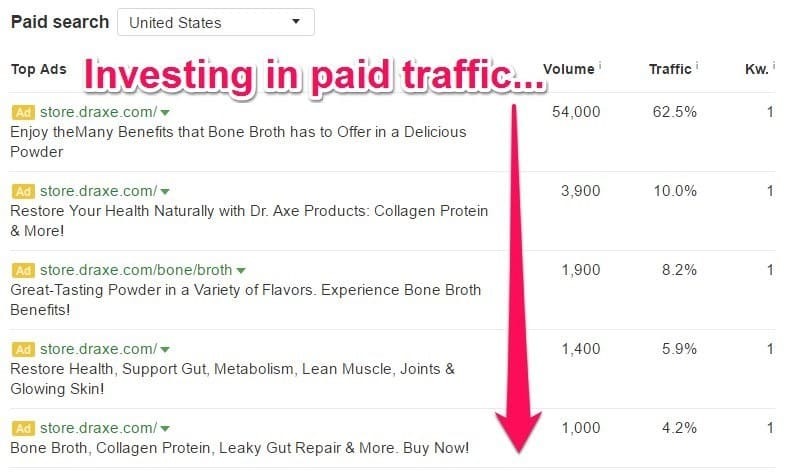 Affiliate revenue and organic traffic need both of those goals, since they both tend to return more revenue per dollar invested in any other traffic or revenue combination. Since almost all the traffic for stage I authority site is going to be coming from search engines, we are going to focused almost all of our promotional efforts on SEO. That usually means we are going to be spending quite a bit of time building links; in fact, after we get an initial batch of content up, we’re going to be building backlinks almost exclusively in order to improve our search engine rankings. However, with proper keyword research, you usually don’t need THAT much link building. Here’s an example of a Stage I site that is doing really well. SEO takes longer and longer these days, and both links and content seem to have what is now commonly known as “sandboxes,” or incubation periods, and it can take months for them to kick in. As such, the timeline from zero traffic to meaningful traffic is usually 6-12 months. However, after traffic is established, it usually stays the same or grows consistently long-term (which is the major benefit of organic traffic). Some site builders even opt to slow down link building efforts and focus mostly on content after their site has been established in Google. To monetize a Stage I authority site, we use affiliate marketing and affiliate content, which is as simple as adding affiliate links to our articles. We don’t worry about ads (we won’t have enough traffic to make meaningful money). And we don’t worry about products (we don’t know our audience yet, we don’t have traffic, and they take a long time to build). 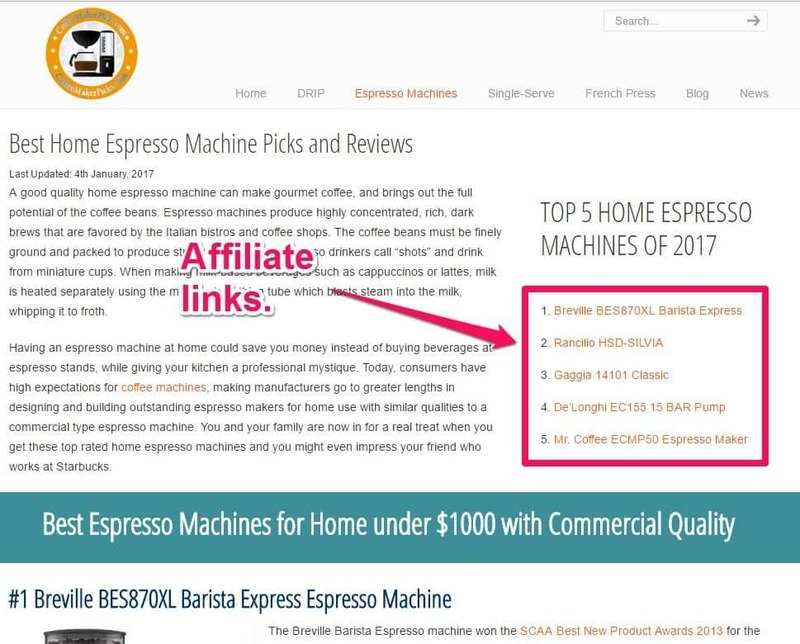 Instead, we focus almost exclusively on writing affiliate content that will attract the right kind of organic traffic from Google. 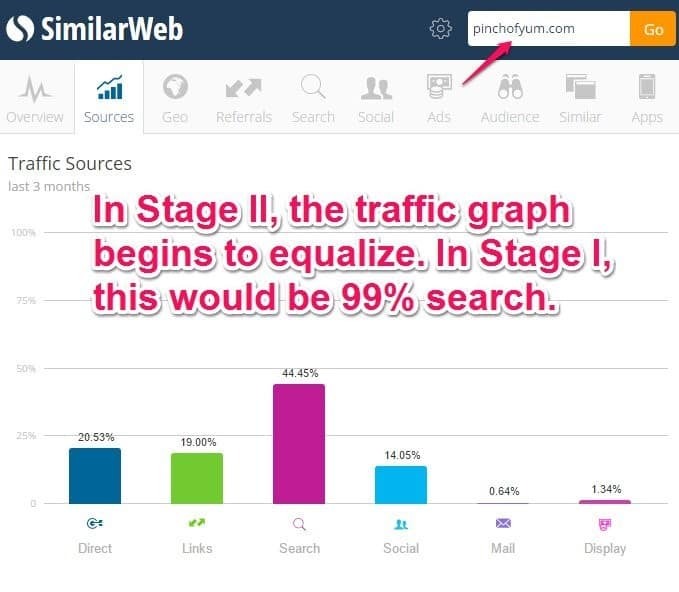 In Stage I, we need two types of content: affiliate content and linkable assets. Affiliate content makes money, while linkable assets help us build links. We start with ~50 affiliate articles. We follow that up with roughly 5 linkable assets. 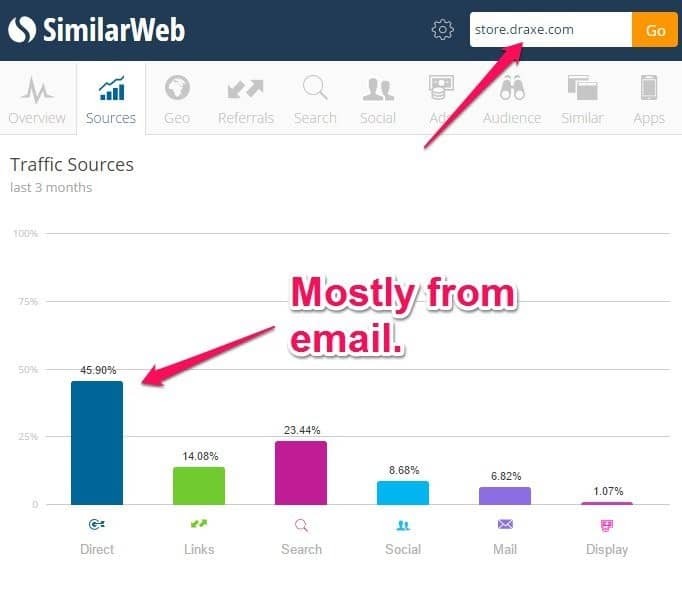 From there, sites absolutely can still grow while still being in Stage I. In fact, some sites choose never to leave! One of the biggest affiliate sites ever, TheWireCutter, sold to the New York Times along with its sister site, TheSweetHome, for $30 million. Both of those sites are what I would consider Stage I authority sites. Stage II authority sites build on the success of Stage I and add one new revenue stream and one new traffic stream. In Stage I, we were focused almost exclusively on affiliate content and organic traffic. In Stage II, we want to add at least one more traffic stream and one more revenue stream. 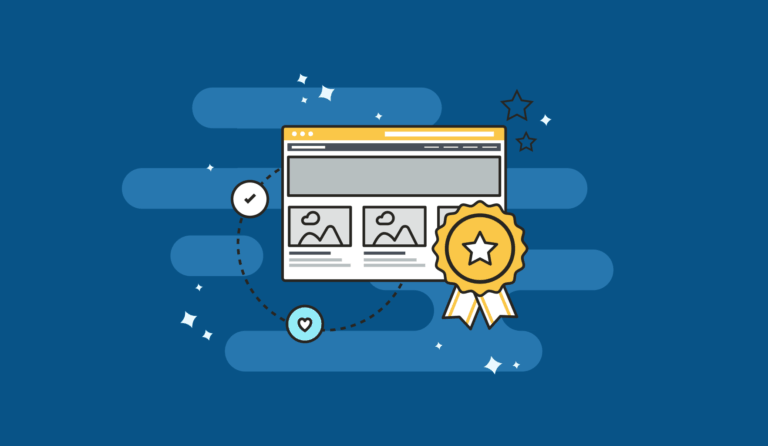 Most of the time, Stage II sites add social media traffic and revenue from display ads, both of which require an influx of informational content. This is also where we usually start collecting emails to have more direct and consistent access to a bigger audience — mostly in preparation for Stage III. This is where we start to build our social channels. It doesn’t particularly matter what social platform we choose, but most of the time, Stage II authority sites start building audiences on either Facebook or Pinterest. In Stage II, we stack ad revenue on top of our affiliate revenue. The first step is typically to install AdSense to get at least some revenue coming in immediately; however, in some niches, networks like Media.net outperform AdSense, so we eventually want to test a bunch of different combinations. To help us do that, we use a meta-platform like Ezoic to take care of the testing for us. Perhaps the biggest change for Stage II authority sites is the content. Affiliate content usually has to target highly specific keywords and requires you to write about products. If our new goal is to generate ad revenue, however, are new focus is more on traffic. Traffic can come from both search engines and our new social media audiences, but in either case, the major differences that we are mostly writing informational content (non-affiliate content). Here’s an example of content geared toward social media. This content often answer specific questions, curates other content, and can sometimes even be very short. In other words, it’s a shift away from a things like product reviews and towards content that begins to establish you as an authority on the topic. 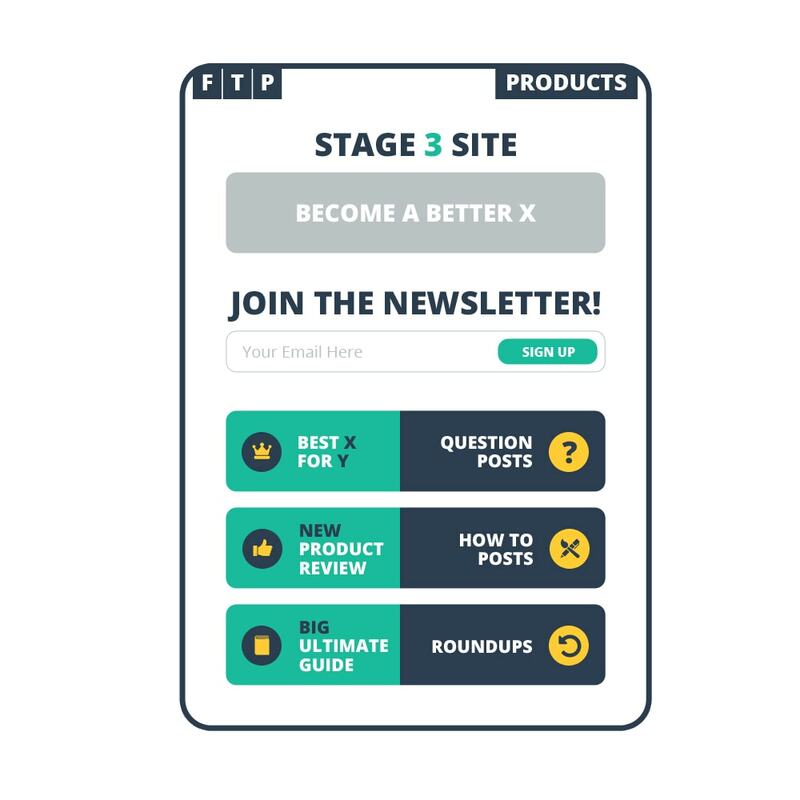 Stage III is the final stage of the authority site model where all the moving parts come together and we combine our final sources of traffic and revenue to our stack: paid traffic and products. 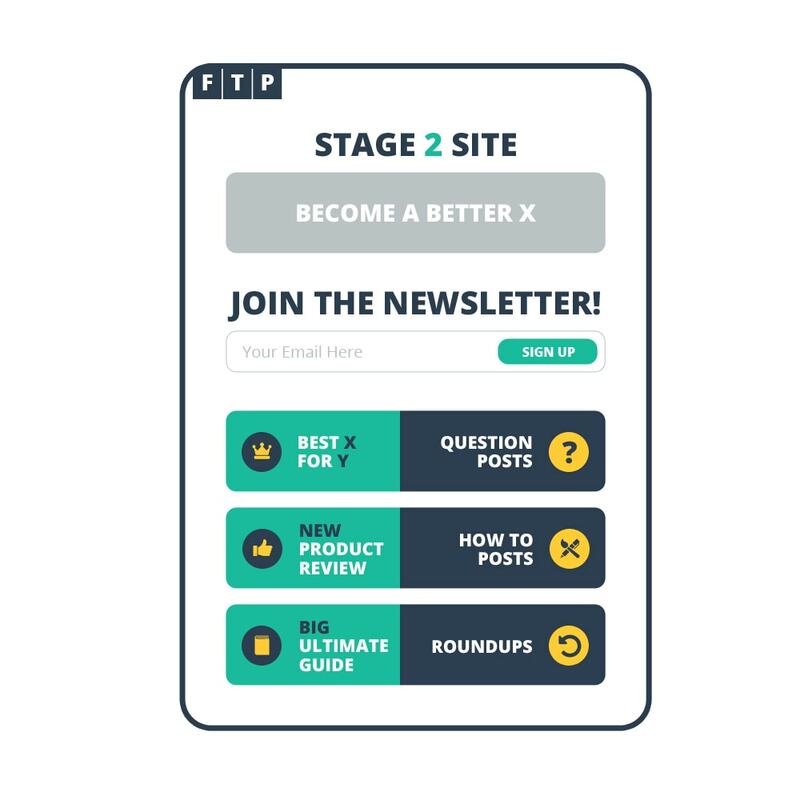 In Stage II we should have significantly increased our traffic and started building an email list. 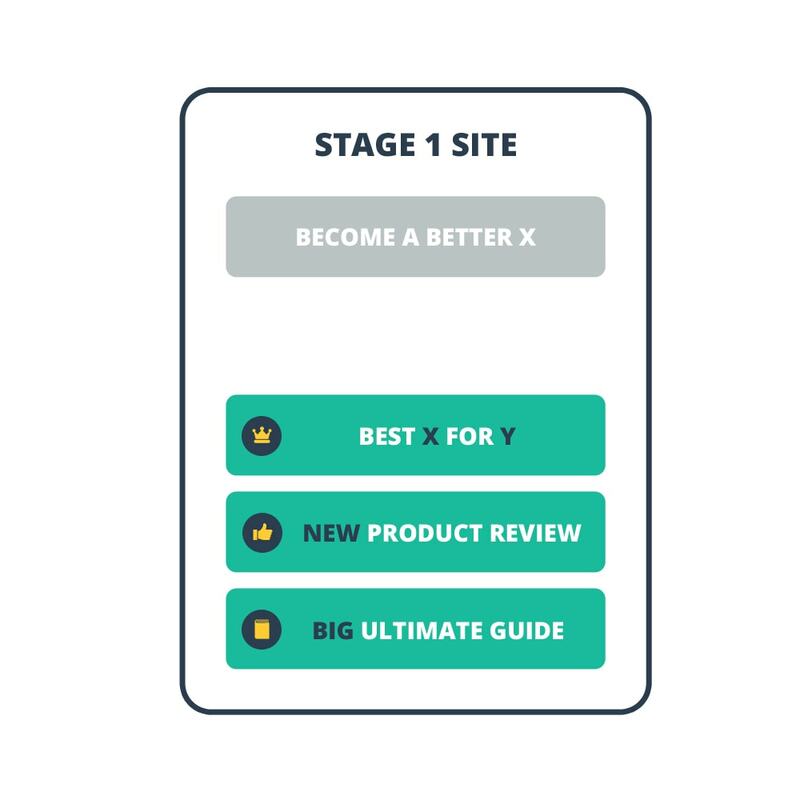 With better access to a bigger audience, a gives us the flexibility to spend resources creating our own products and to experiment driving a paid traffic to them. The biggest addition in stage III is the creation of our own products as a way to monetize our audience further. This is an extremely difficult thing to do, and it requires us to understand our audience very well; however, if we can create a product our audience wants, it can represent the biggest single revenue opportunity for an authority site. What you choose will depend strongly on your niche, your audience, and your resources. One of my favorite examples is DrAxe.com, who added a beastly store to their site after it was raking in traffic. In Stage III we want to continue building our organic and social traffic channels, but because we’ve created a product that we can sell for a high profit margin, will have the flexibility to buy traffic. We also want to start leveraging our email list to get our readers into sales funnels in which we can effectively offer them our products and maybe if you related upsells. The content in stage III is going to be mostly the same as it wasn’t Stage II: were going to keep adding content that will help us grow our organic and social traffic. However, we might also write some engaging email series, or if we think an info product might sell well to our audience, we might also spend resources to create that content.